Root equals Foundation The place people work makes up the important moments of daily life. The ideas and energy from people nurture the base of an organic group, and this foundation with solid root and delightful environment will one day transform into strong existence of mutual goals. That is why upon thinking the working space for the client, we think root for developing our design. 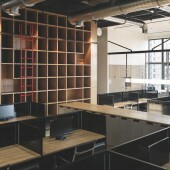 In the visually open space, we aim to provide function, efficiency, and interaction. Think of the space as a blooming tree. We set conference room, service area and storage room at the center of layout, as the stem if a tree. The open work area surrounds the core, expanding like clusters of leaves. Wooden furniture and materials are applied throughout the office, bringing comfortable and warm atmosphere for people working within. On the perimeter are a circle of managers’ offices and small discussion rooms. Wooden furniture and materials are applied throughout the office, bringing comfortable and warm atmosphere for people working within. The oval path within office facilities group discussions as well as individual works. For the partition elevation, we opt for light glass and opened shelves that rise from floor to top, as the roots that interweave the blooming tree. Different patterns and textures are used to add layers to the elevation, creating a working environment with visual accessibility, imagination and full interaction. The real challenge is to represent client's entrepreneurial spirit, therefore, industrial materials are applied, such as black partition frames and exposing ventilation tunnels giving the office a swift and neat look. 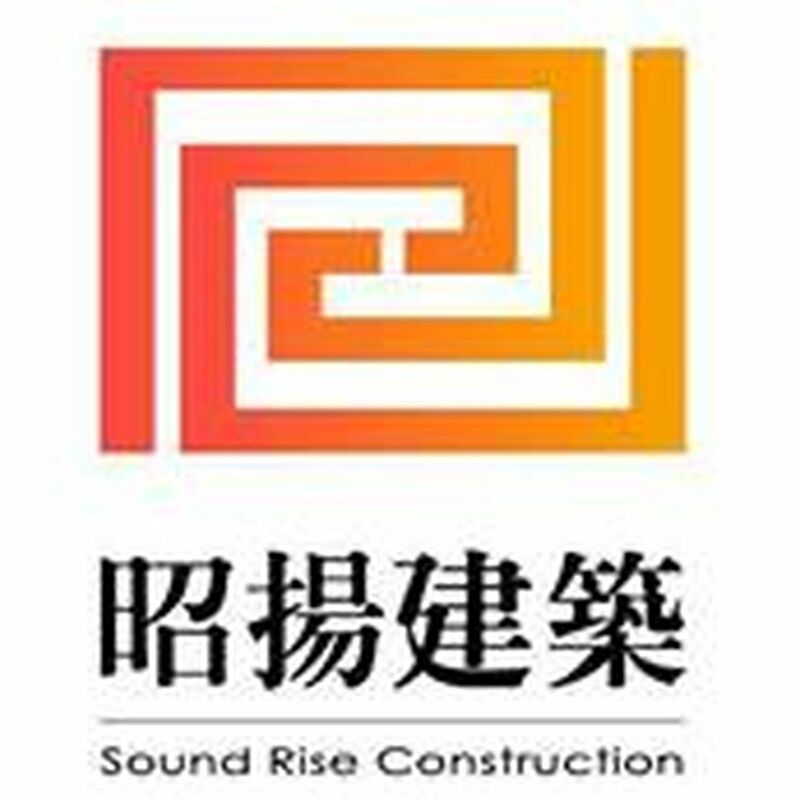 Sound Rise Construction Co. Ltd. operates as a building contractor. The Company develops residential areas, villas, commercial buildings, and office buildings. Sound Rise Construction also provides related property management and real estate marketing services. Sound Rise Headquarter Office Space by David Hsiao is a Nominee in Interior Space and Exhibition Design Category. · Click here to register today inorder to be able to view the profile and other works by David Hsiao when results are announced. Sound Rise Headquarter Office Space by David Hsiao is Winner in Interior Space and Exhibition Design Category, 2016 - 2017. · Press Members: Login or Register to request an exclusive interview with David Hsiao. · Click here to register inorder to view the profile and other works by David Hsiao. Did you like David Hsiao's Interior Design? 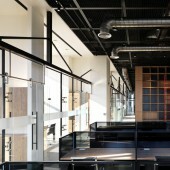 Did you like Sound Rise Headquarter Office Space? Help us create a global awareness for good interior design worldwide. Show your support for David Hsiao, the creator of great interior design by gifting them a nomination ticket so that we could promote more of their great interior designs.